Excavation work for a new metro line in Rome has unearthed a huge Roman barracks from the 2nd Century AD when Emperor Hadrian was in power. The find is so impressive that Italy plans to create Rome's first "archaeological station" at Amba Aradam, on the city's third metro line. The new station is being built while archaeologists brush dirt away from artefacts and mosaics 9m (30ft) below street level. The ruins cover 900sq m (9,700sq ft). The site, thought to have housed Hadrian's Praetorian Guard, includes a 100m hallway with 39 rooms. Amba Aradam lies near an important metro interchange at the Colosseum, called Fori Imperiali/Colosseo. The new station, on Metro Line C, is scheduled to open in 2020. The head of archaeology in the Colosseum area, Francesco Prosperetti, said work on the metro would not be delayed although there would have to be changes to the station's design. Amba Aradam is named after an Italian Fascist victory against Emperor Haile Selassie's Ethiopian troops in 1936, in the Abyssinian war. 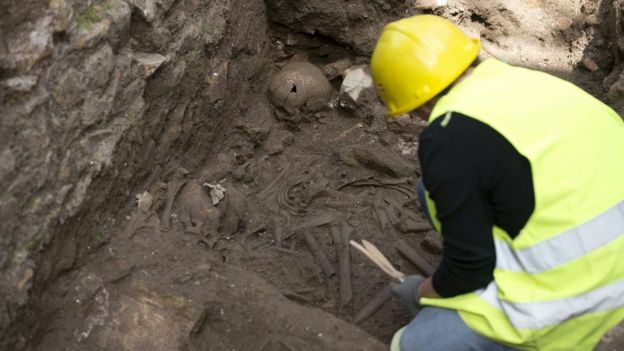 An Italian Culture Ministry official called the unearthing of the Roman Praetorian Guard barracks "exceptional". The Praetorian Guard was created by Rome's first emperor, Augustus, and served as the emperors' bodyguards and private military force. 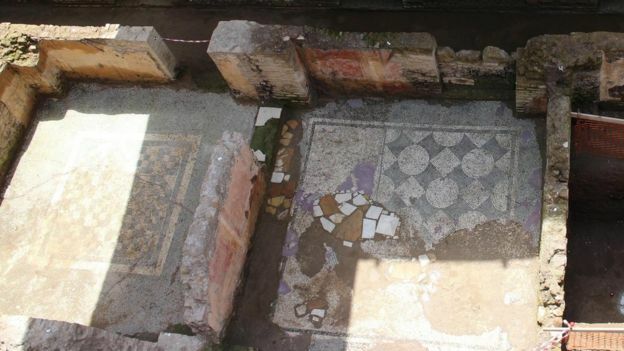 Rossella Rea, quoted by the Associated Press news agency, said it was near four other Roman barracks, so "we can characterise this area as a military neighbourhood".